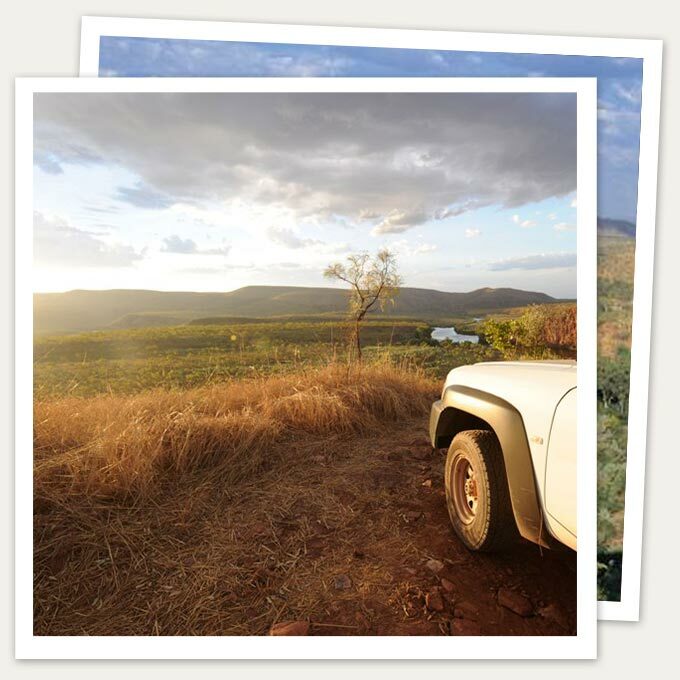 El Questro Homestead is situated in the East Kimberley, 110 kilometres west of Kununurra by road, 58 kilometres on the sealed Great Northern Highway towards Wyndham. *Times are subject to change without notice, according to airline schedules. Arrive in style with one of the many air transfer options. Whether an exhilarating R44 Helicopter or the spacious Jet or Long Rangers or the scenic routes provided by a fleet of small airplane, travelling through the Kimberley by small air craft provides unparalleled views of the wild country below. Regular flights are available from all major Australian capital cities to Kununurra via Darwin, Broome and Perth with Qantas, Air North or Virgin Australia. Guests travelling from the Eastern States are encouraged to fly through Darwin as opposed to Perth. This enables arrival in time for lunch at El Questro Homestead. Aeroplane charters are available directly to the El Questro airstrips from Kununurra, Darwin, Broome, Uluru and Alice Springs. 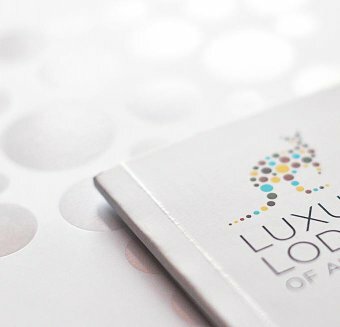 Private VIP jet service is also available from Sydney, Melbourne and Perth direct to Kununurra. 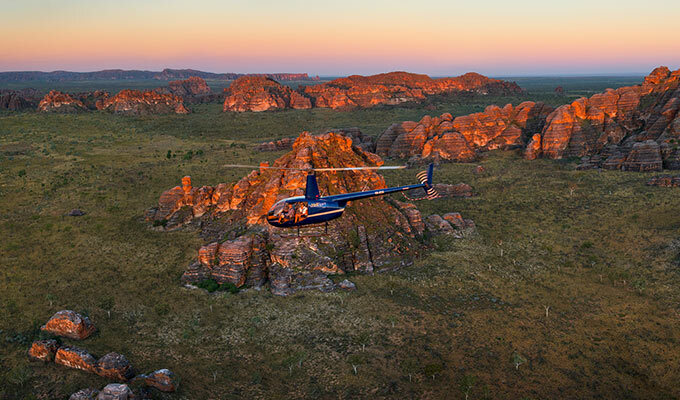 Helicopter charters and scenic aeroplane flights over the Bungle Bungles are available from Kununurra finishing at the Homestead. 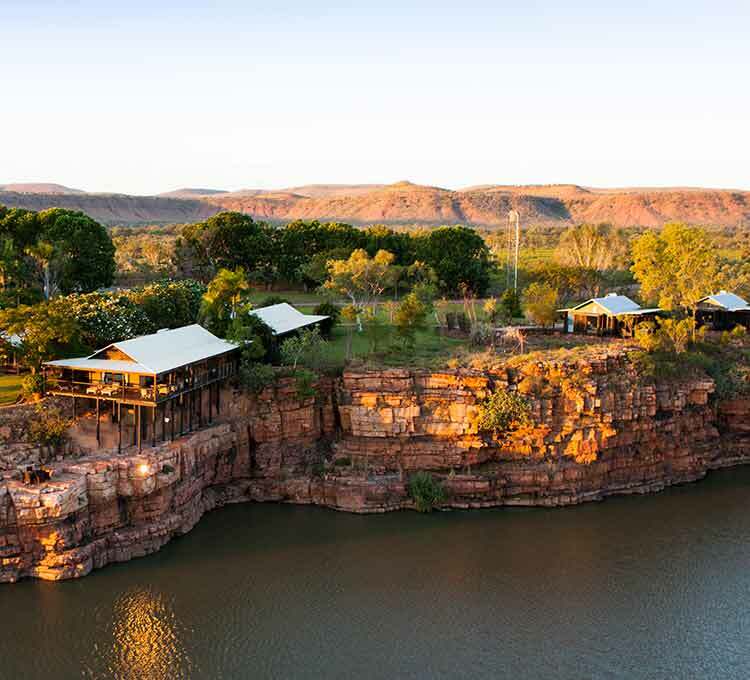 El Questro has two airstrips, the smaller strip at Emma Gorge Resort, the other close to The Station and Homestead facilities. Please click here for airstrip details and landing is at the air operator’s discretion. Please contact dna-elqactivities@delawarenorth.com or elquestrohomestead@delawarenorth.com for special quotes from their current air operators Helispirit and Kimberley Air Tours or if any further information is required.